Mix all the ingredients except water in a deep dish and then add small amounts of water at a time and knead it into a soft and firm dough. Set aside for ½ an hour. Make small balls out of this dough. Now with a rolling pin and dry wheat flour roll these balls into nice thin rotis and cook on a a tava. 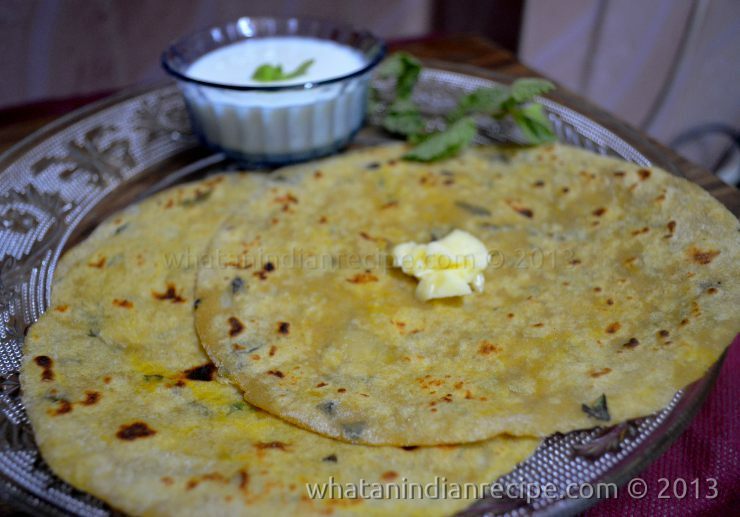 When done, spread some butter or ghee on the rotis while hot. Serve hot with any sabzi, like mixed vegetable, ghugni or aloo curry.